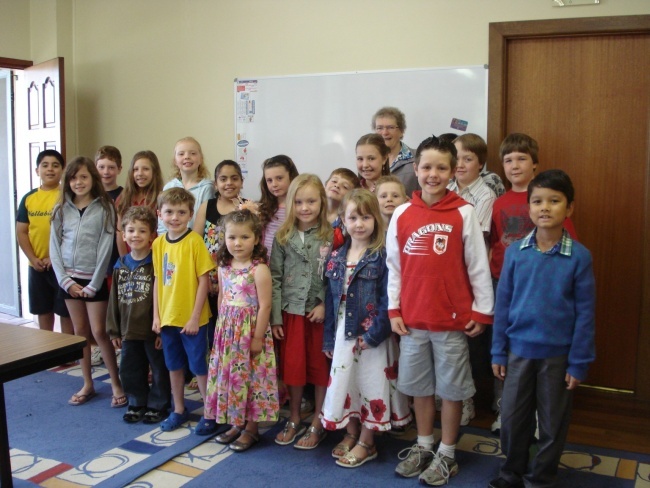 There are currently 10 people arranged in five groups leading the children's liturgy at the 9am Mass on Sundays. It is not held during school holidays. Those attending are aged 5 to 10. 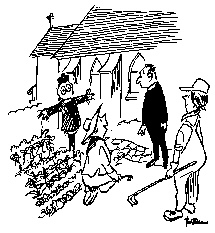 A very small number of parishioners are involved in maintaining the gardens around the church and presbytery. More helpers are always being sought. "We didn't think you'd mind, Father." 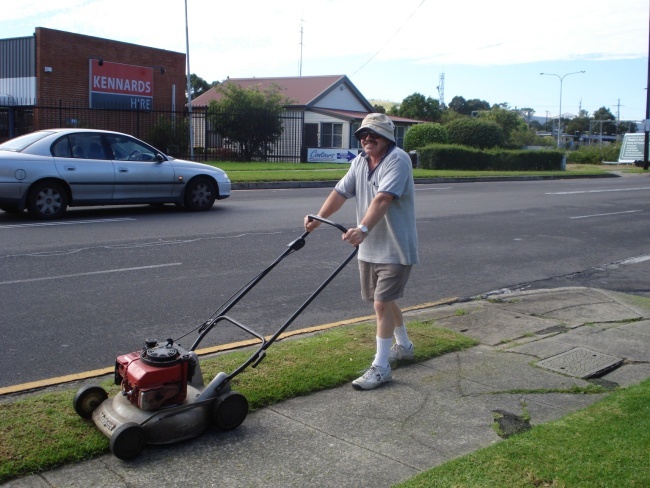 22 parishioners arranged in 6 groups help keep the church lawns presentable with lawn mowing on Saturday morning. Each group assists 6 times a year. 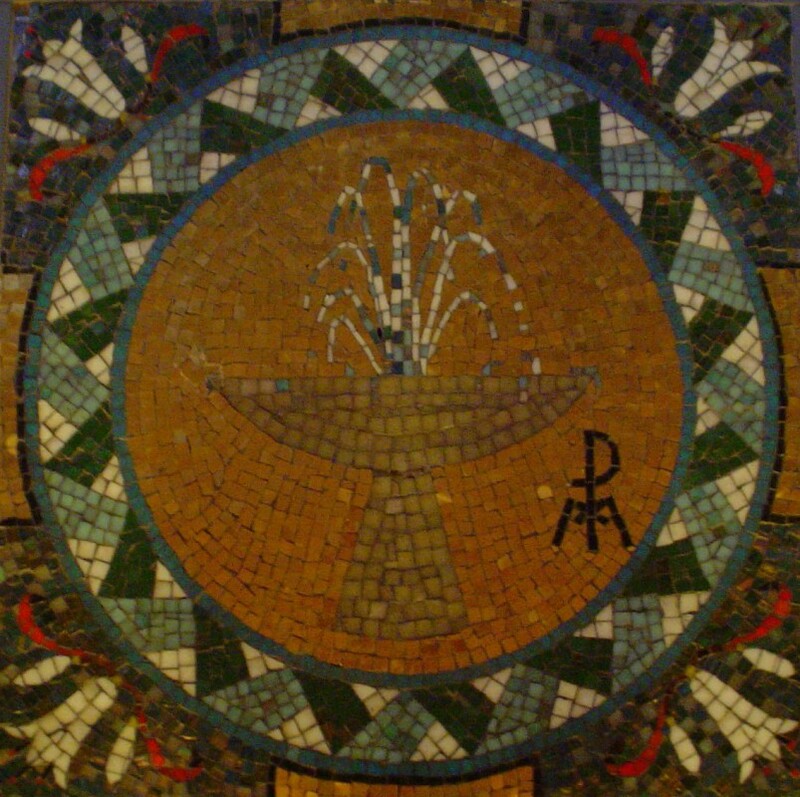 The craft and friendship group meets on Wednesdays at 10am in the St. Josephs Room. The group does not meet during school holidays. New members are always welcome. 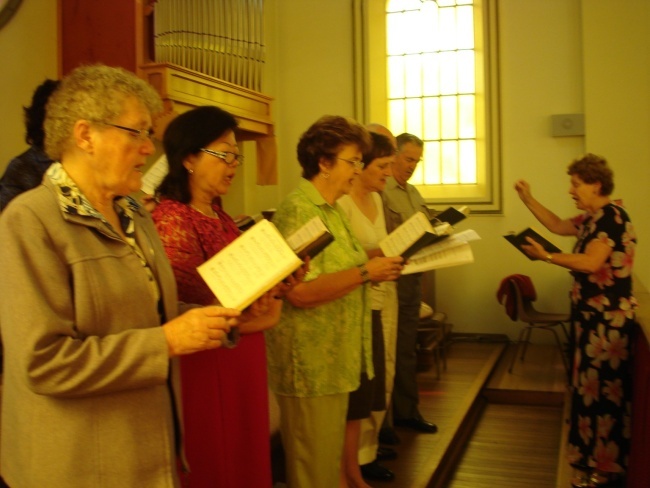 The 9am choir assists at Mass on Sundays, outside of school holidays, and also on other special occasions. New members are always welcome. Since 1999 the programmes for the sacraments of 1st Reconciliation, 1st Holy Communion and Confirmation have been both parish based and family centred. 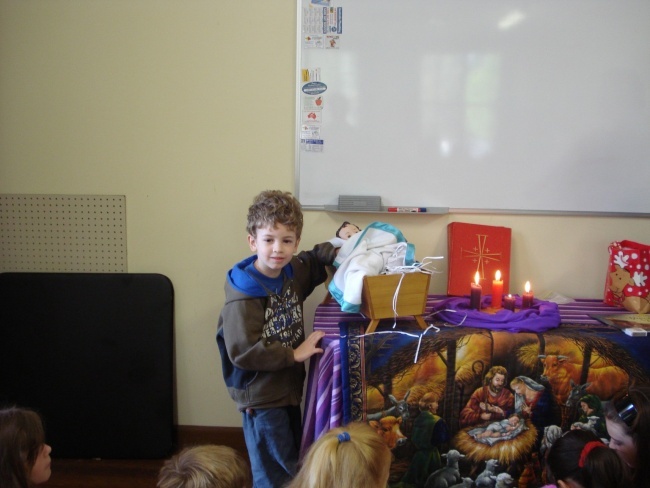 Several teachers, several catechists and a few other parishioners have become involved in leading the 8 groups for each sacrament, and many other parishioners have become involved in the other preparations for each sacrament. 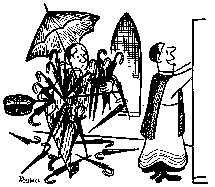 From time to time a call for assistance is made in the parish notices. New leaders and other helpers are always welcomed. 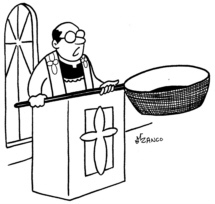 Refer to the Sacraments page for more information. 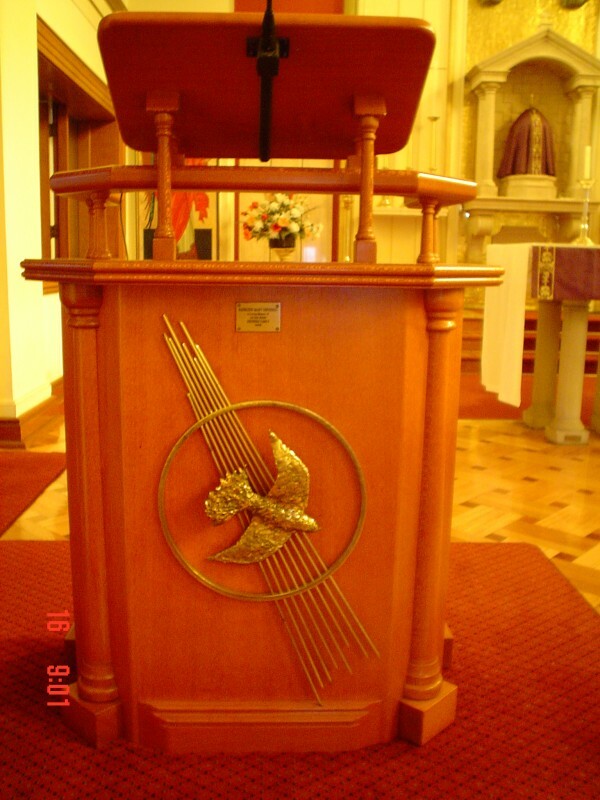 The local conference of the SVDP society meets in the St Joseph’s Room every Tuesday evening at 7.30pm. The primary role of the society is the care of the poor and needy in society. Leo Haywood, Fr. Mark and Sr. Joan. 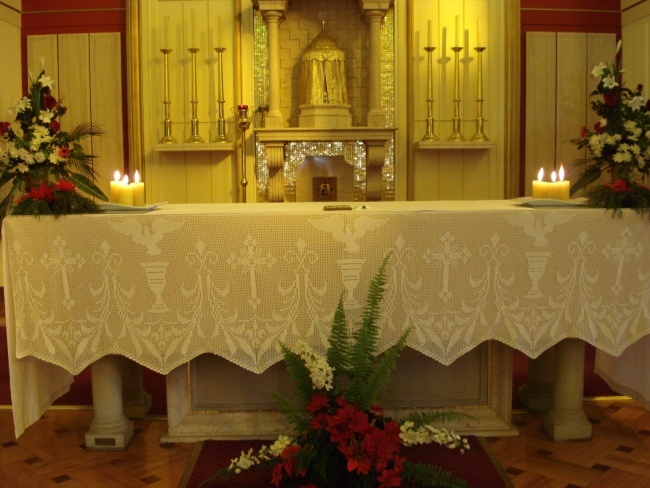 The VMCG attends the Villa Maria Centre, and assists with the monthly Mass, weekly Communion, rosary and visitation.